Kathy Jetnil-Kijiner burst onto the world stage through a poetry performance that moved many world leaders to tears at the opening of the United Nations Climate Summit in New York in 2014. The then 25-year-old poet and climate activist demonstrated the impact a poem can have. In a piece titled “Dear Matafele Peinem,” she managed to capture the stark reality of climate change in just over three minutes. Since then, her writing and performances have been featured on CNN, Democracy Now, Mother Jones, the Huffington Post, NBC News, National Geographic, Nobel Women’s Initiative, and more. In February 2017, the University of Arizona Press published her first collection of poetry, Iep Jāltok: Poems from a Marshallese Daughter. 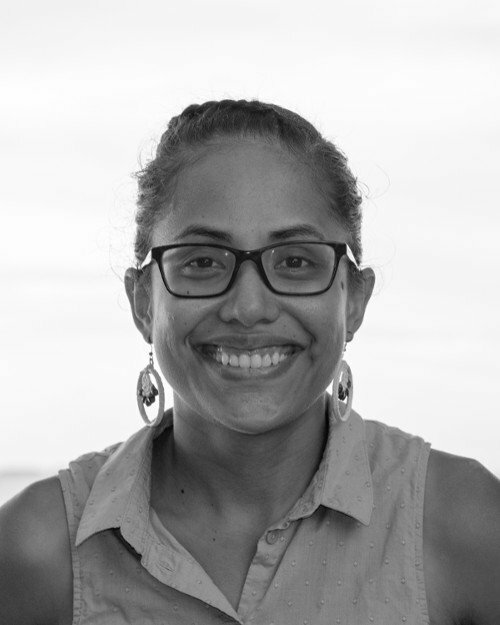 With her cousins, she co-founded the environmental non-profit Jo-Jikum, which empowers Marshallese youth to seek solutions to climate change and other environmental impacts threatening their home island. Kathy was selected as one of 13 Climate Warriors by Vogue in 2015 and the Impact Hero of the Year by Earth Company in 2016. She received her Master’s in Pacific Island Studies from the University of Hawaiʻi at Mānoa. Her poetry, in her words, “mainly focuses on raising awareness surrounding the issues and threats faced by my people. Nuclear testing conducted in our islands, militarism, the rising sea level as a result of climate change, forced migration, adaptation and racism in America—these are just a few themes my poetry touches upon”. The 70 Inspiring Pacific Women campaign has been produced by the Pacific Community (SPC) in partnership with Australian Aid and Pacific Women. The campaign marks the 70th anniversary of SPC, and leads up to the 13th Triennial Conference of Pacific Women and 6th Meeting of Ministers for Women in Suva (Fiji) from 2nd to 5th October 2017.